Quelcy Kogel is a multi-passionate creative who works as a food and prop stylist, event designer, writer and dog cuddler. As a stylist, Quelcy has worked with brands like Brooklyn Brewery, GNC, Healthyish Foods, Honest Tea, The Food Mood Girl and ModCloth to bring their brand stories to life. Quelcy was a regular contributor to Design*Sponge, focusing on sustainability and interior design. 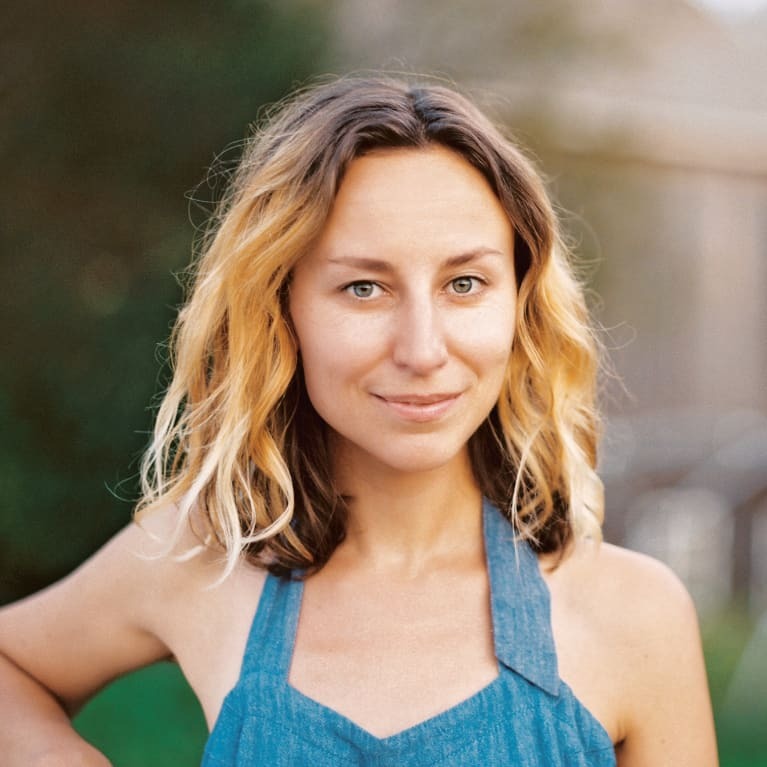 She founded her site, WithTheGrains.com, as a way to document her own wanderings, farm-to-table adventures and seasonal recipes. Her work has been featured on Bon Appétit, BuzzFeed, HuffPost Taste, the Instagram blog and in Sift magazine. She lives in a prop-filled apartment in Pittsburgh, Pennsylvania, with her boyfriend, Kyle, and their beloved pup, Julep.